Imagine giving up gas for good. for most drivers, this would be almost unheard of years and years ago. The idea that we can go and take care of the things that we need to do and just plug our vehicle in after we’re finished used to be a complete fantasy. Now it’s a viable reality, with more and more charging stations available on the road. Gone are the days where you just had to stay close to home lest you ended up getting stuck without a charging station to “refuel”. But now you have charging stations on the road and the cost is very reasonable. But that probably doesn’t help you answer the big question: just how do you shop for an electric car? What are the tips that you need to keep in mind as you go? Here’s what you need to know before you bring a car into your driveway. If you just go for the first electric car that you see, you’re going to have a bad time. What type of car do you need? Getting a sedan when you really have your heart set on a crossover or a full SUV is silly. You can get the space you need and still get a plug-in vehicle. 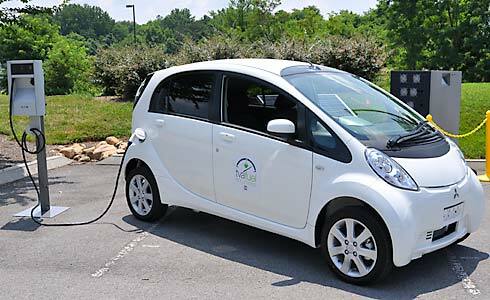 If you’ve got a lot of car dealerships around your area, they will actually let you test drive a n EV just like you would a traditional vehicle. Do you imagine always using a charging station, even when you don’t need it? You might have some trouble as an EV driver. Once you get your charge up, you just need to move on. The opposite is true: if you don’t need a charge, don’t pull over into that spot. You just never know if you’re keeping someone else that desperately needs a charge from not getting what they need. If you tend to take long trips into areas that haven’t gotten the EV revolution yet, you may need to get a hybrid vehicle. That doesn’t mean that you’re an awful person; you’re a car buyer that is purchasing based on your needs first and foremost. This is obviously going to be country specific, but you need to make sure that you’re taking advantage of every single incentive possible. You’re part of the future, a new revolution of buyers that are looking for more than just the usual experience. The incentives can make it much cheaper to pick up one of these vehicles than you expected. A final point: you may have to really look at several cars before you figure out which one is really going to meet your needs. The good news is that it’s possible to pick up a previously owned vehicle for a lot less money than a brand new vehicle. It’s ultimately up to your tastes, but we think that a used EV still has plenty of life in it to be a viable option. Be safe!